We can’t always see and smell them, but our bodies are effected by the thousands of chemicals we are exposed to in our homes. Maybe you have done a detox in order to eliminate internal toxins and chemicals from your body, but have you done anything for your home? Ultimately, the air you breathe and the environment you are in most, affects your health. It doesn’t make sense to only concentrate on your body and not your environment, they go hand in hand. Common household items and body care products are being found to have negative health effects on our nervous, immune, reproductive, endocrine, cardiovascular and respiratory systems. Indoor air is typically 2-5 times more polluted than outdoor air. Home insulation is so wonderful when it comes to keeping our homes nice and warm in the winter and cool in the summer, but it doesn’t allow fresh air in and the bad air out. We’re constantly breathing in the same musty air. Wall-to-wall carpet keeps are feet warm, but it can also trap a countless number of toxins, dirt, dust, fleas and lead. You don’t have to give up a beautiful, cozy home in order to reduce exposure to external toxins. By detoxing our bodies and our environment we allow our body’s own detoxification system to function better. Place your door mat vertically by your entryway so more dirt from your shoes stays outside on the mat instead of your house. No shoes in the house, opt for bare feet or slippers. Your shoes can carry dirt, pesticides and lead. Clean your air with fresh air and plants. Keep your windows open on nice days to allow ventilation. Use green plants as a natural air detoxifier. Remove odors with baking soda. Replace your personal body products with less chemical ones. You’ll be amazed by how far a little bit of coconut oil can go (hello, new body moisturizer, shaving cream, hair conditioner and sunscreen!) Learn how to identify bad products here. Give up antibacterial soaps. It may sound like a good idea, but triclosan, the antibacterial component can cause problems. It can’t decipher between good and bad bacteria, so it kills both. It can create antibiotic resistance, so that certain bacteria can grow immune to it over time. Avoid non-stick pots and pans. As much of a treat as it is (no one likes scraping eggs off a frying pan), they come with a price to pay. The chemicals used to create the magical lining of nonstick cookware could end up damaging your liver, thyroid and immune system. Install a carbon monoxide alarm or have your house checked for carbon monoxide leaks. Ditch dry cleaning chemicals. Many chemical dry cleaning products contain estrogenic nonylphenol and nonylphenol ethoxylates (NPEs) that can interfere with your hormones. Find a dry cleaner that uses eco-friendly products, and always take your clothes out of the plastic bags to air them out before wearing them. Check areas for excess moisture (it encourages the growth of mold and mildew). Regularly clean surfaces where mold usually grows (around showers, tubs and beneath sinks). Check Radon levels in poorly ventilated basements that have cracked walls/floors. Radon is an odorless gas that forms as uranium in rocks and soil (source). Rearrange your daily schedule to minimize time spent in traffic. Use an aluminum-free natural deodorant. Use greener cleaning products, you can buy these at the store or use what you have in your kitchen. Vinegar works great instead of bleach, while baking soda and hydrogen peroxide work great for cleaning tiles and removing stains. Rethink artificial room deodorizers. I get it, you want your house to smell good, but artificial room deodorizers are full of toxic volatile organic compounds (VOCs). Use a HEPA filter instead (preferably one with a VOC filter) or essential oils! Limit medical drugs, whenever possible unless they are needed. Try to source the underlying cause with the help of a nutritionist or integrative doctor. When eating meat, always choose grass fed. Eat more fiber. Your liver can more easily flush toxins through the digestive system and you can take an immense load off an organ that is constantly trying to get rid of toxic substances from the body. Use activated charcoal. 20 grams/day mixed with purified water binds to pesticides and other environmental toxins and then carries them through the intestines to be purged from the body. Supplement with molasses after using activated charcoal to replace any important minerals that charcoal might carry out in the process of getting rid of unwanted toxins. Eat more citrus. Pectin’s in citrus are a powerful detoxifying substance which naturally removes heavy metals without depleting the body of important trace minerals. Eat more garlic which helps with detoxification while boosting the production of white blood cells. Instead of deep-frying, opt for steaming or grilling. Eat local, organic produce to limit exposure of toxins. Try Brazil nuts. They are full of glutathione, a natural detoxifying substance. Take milk thistle to support your liver. Get a water filter (more than 700 chemicals have been identified in drinking water). Go ahead and get one for your shower too! Protect your largest organ- your skin. Dry brushing helps your lymph nodes to flow which helps flush toxins from the body. 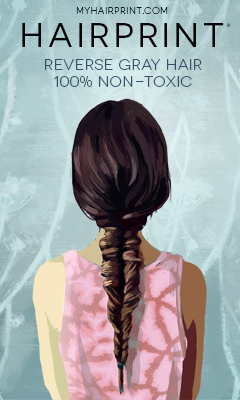 It’s important to be aware and limit your exposure to toxins, but don’t stress yourself out. There are small changes you can make in your day which can be helpful. Too much stress is not a good thing, so pick the changes you can tackle and take one step at a time.